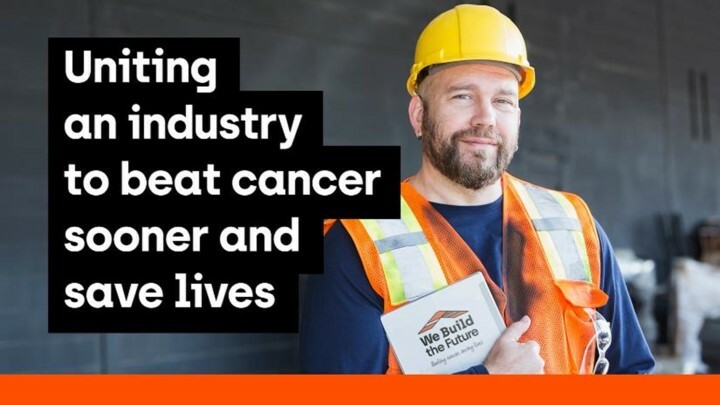 Building industry leaders have come together to launch a new charity aiming to transform cancer advice and support for people working in the Construction and Built Environment sector as well as raising money to help fund research to beat cancer sooner. Andy von Bradsky, Anthony Burd, Emma Clancy, Paul Everall, Richard Harral and John Tebbit have been working since the end of 2017 to launch We Build the Future. “When making site visits, building control professionals see many people vulnerable to cancer, and learn of others who have succumbed. We should do all we can to help”. “Those of us who work in the construction industry know that it can be a difficult industry to engage with but that it is possible if you know the right way. Cancer Research UK has really good advice, help and research work which We Build The Future can better get to the various parts of our industry. In addition, giving a focus for the industry’s fundraising”.